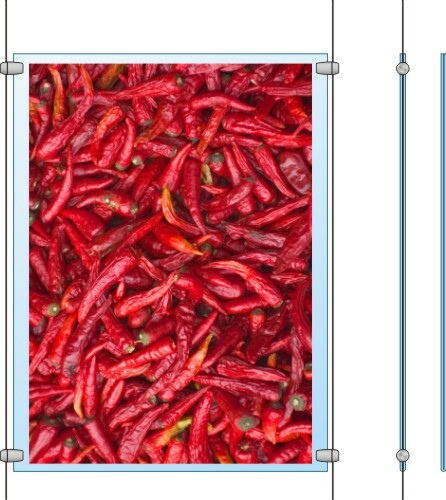 DX Cable Tension System has been designed to cover a vast range of shelf, panel and display installation applications. All system components are manufactured to the highest standards and finished to enhance your project. Simple to install, easy to change and versatile enough to be used in almost any application. The DX Cable Tension System can be used as an effective and visually unobtrusive poster display system. The size can be custom made to suit your individual application. The posters are simply inserted into a clear dual layer perspex poster holder. This is made from a single sheet of perspex folded so that the posters can not drop out of the bottom of the display.